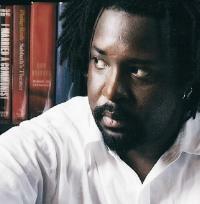 As usual around this time of year we decided to read whatever won the Booker Prize, and so when it was announced we all duly set to with Marlon James’s 700-page novel about the 1976 attempted assassination of Bob Marley. The story is told from the point of view of a large cast of characters who all had a part to play in events such as the rival gang leaders Shotta Sheriff and Papa Lo, various CIA operatives based in Jamaica, young boys from the Ghetto, an out-of-place American journalist for Rolling Stone magazine and Nina Burgess, a young woman who unluckily finds herself herself at the scene of the crime. Through these and many other voices James plausibly explores what lay behind the attempted murder of ‘The Singer’ and the social and political upheaval that followed. From the very first page of the novel we are plunged into Jamaican patois, which although initially alienating comes to feel immersive. We are also made aware of the subjectivity with which the story is told; the repeated phrase ‘If it no go so, it go near so’ underlines the fact that what we are reading can only ever be an approximation of the truth. The novel doesn’t pull its punches; the first chapter sets out a backdrop of horror and violence that will continue throughout the dark story that follows. Although there is a very large cast of characters we felt James handled the different voices well, and we quickly grew familiar with the different tones. Some, though, were simply unable to stomach the level of violence and put the book aside while those that did continue became somewhat inured to it. Although James deftly switches between his characters there was a disjointed stop-start quality to the book that made it hard to get carried away with the story. And yet James has a skilful ability to paint a picture, to draw the reader in, and almost despite ourselves those that stuck it out became absorbed. This was helped by the fact that the middle part of the novel focuses on the stories of Nina Burgess and Josey Wales. By the time other characters resume their parts the reader is more deeply engaged. And so was this visceral, somewhat gruelling read, worth it? The inescapable fact is that two-thirds of the readers in our book club found themselves unable to face it and moved on. For those that saw it through the answer seemed to be a yes. It is original and provocative and James’s confidence and skill as a writer gives it a coherence and depth that is impressive. There was a sense that it was overlong, the ghostly character of Sir Arthur George Jennings, for example, we felt we could have done without. And the structure seemed overly complex and probably a second reading is required to really figure it out (not for the fainthearted or the time-poor). Perhaps, though, the impossibility of truly piecing together the events of history is James’s point all along. The best novels work on their readers, changing them somehow, challenging their assumptions and giving them insight into a different world. 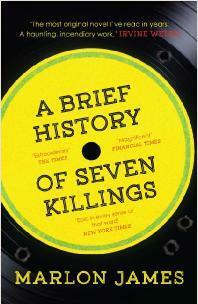 It’s probably fair to say that no-one who finishes A Brief History of Seven Killings will ever be quite the same again. It's certainly not for the timorous and it is a challenging read. For the right reader though, particularly those who love long, immersive books, a worthwhile and rewarding one. An interesting brief interview for Waterstones. Despite the fact that reading this in bed every night felt like being repeatedly clubbed over the head, I was drawn in and captivated by James’s characters, in particular Weeper who I thought was extraordinary. I do think it was too long and at times the structure left me confused, but there was no denying the brilliance with which James evokes his world, or the relevance of him doing so. A remarkable book. A warm 4. Characterful and expansive, not always in ways that I enjoyed but always in ways that I significantly respected, journeys that I was pleased to have been taken on. I didn't know anything about Jamaican history before reading this. I thought the cover was awful. Although it was a little long and could have done with a bit of editing, on the whole I didn't feel that anything was extraneous and I was really impressed by the different voices that James brought to life, the sense of building a multitude of tones that recreated that place and that time. And he followed it through. For me it was surprisingly impressive; history, his writing style and the rhythm and musicality of the language. I was so horrified by the first few pages, particularly as seen from a child's perspective, I just couldn't go on. I definitely didn't want to finish it.